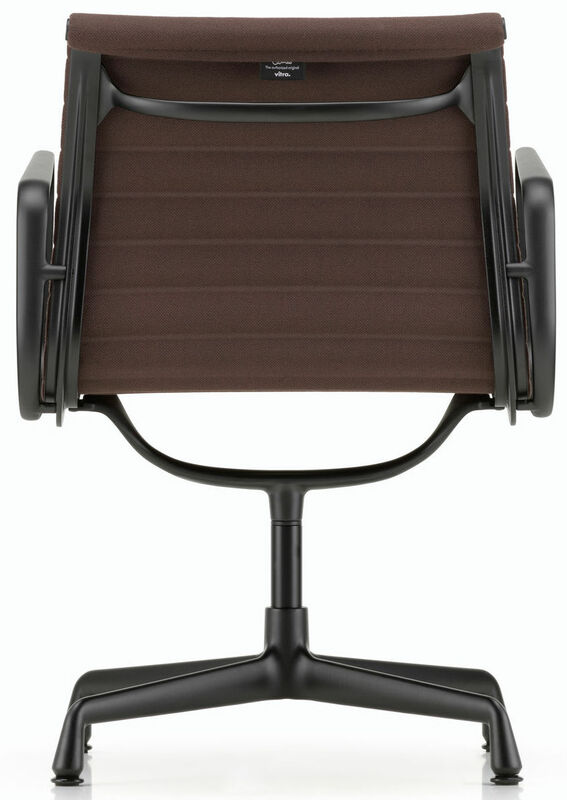 For the same characteristics, the EA101 / 103/104 chairs are slightly narrower and taller than EA105 / 107/108 chairs. Netweave is a semi-transparent, self-supporting mesh fabric. Despite being extremely robust, Netweave has an elegant and airy appearance. 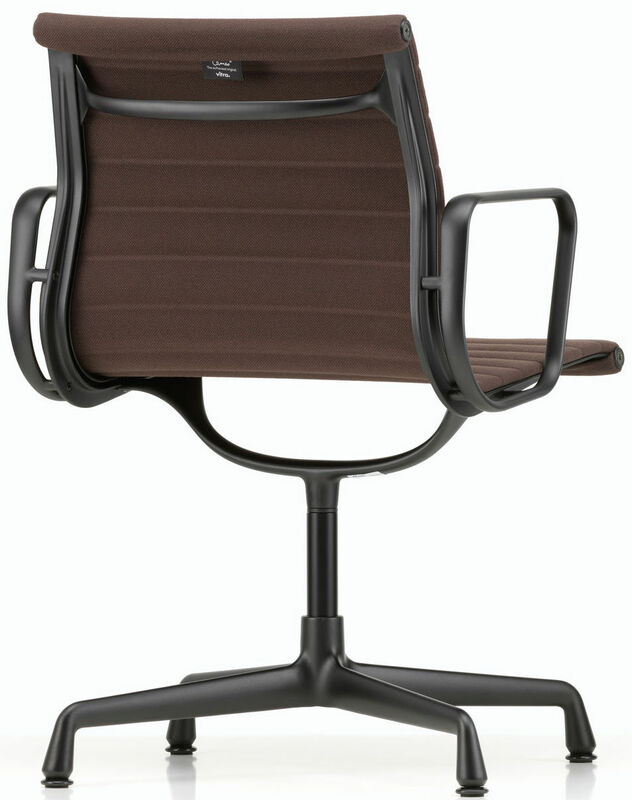 Netweave is available in 3 colours for the Aluminium Chair. Netweave is available in black, grey and white. Standard Leather is available in 8 colours. 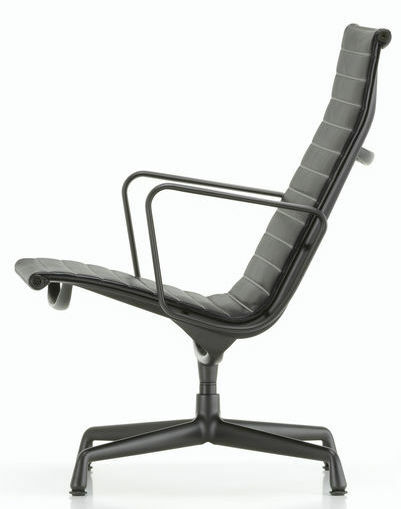 The Aluminium Chair and kindred Soft Pad Chair rank among the most significant furniture designs of the twentieth century. 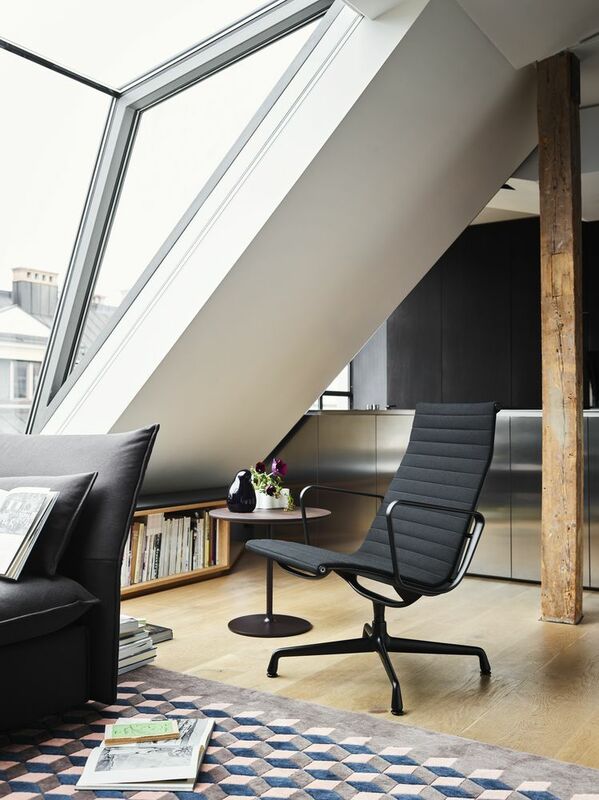 For the construction of these chairs, Charles and Ray Eames departed from the principle of the seat shell, instead stretching a panel of fabric or leather between two aluminium side members to create a taut but elastic seat. 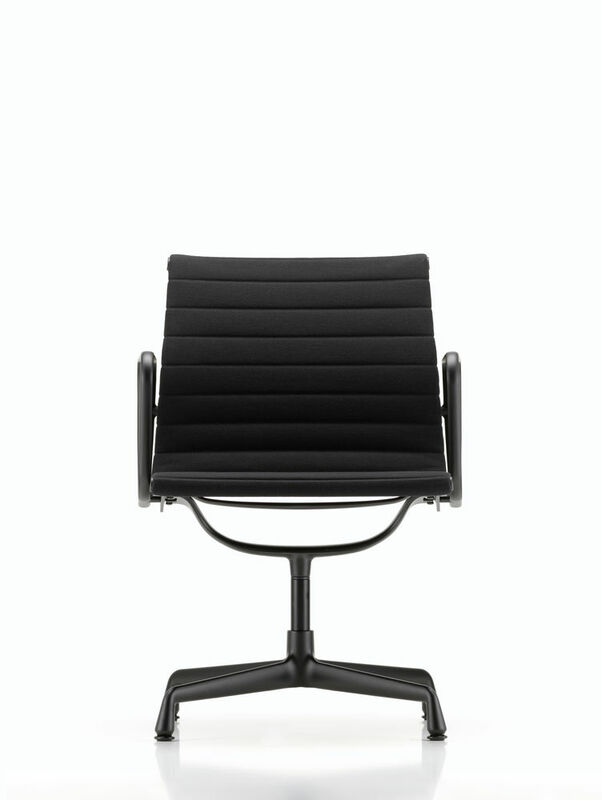 The chairs have a light, elegant appearance, and for decades their iconic shape has been a hallmark of many tastefully appointed apartments, homes, offices and conference rooms. 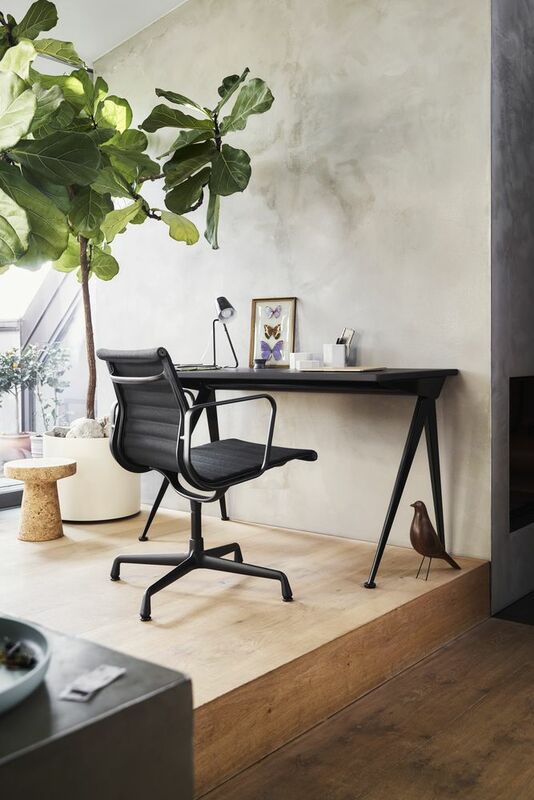 In collaboration with Eames Demetrios, the grandson of Charles Eames and head of the Eames Office in Los Angeles, Vitra has now developed a new black version for both chair families, with the metal parts powder-coated in black. 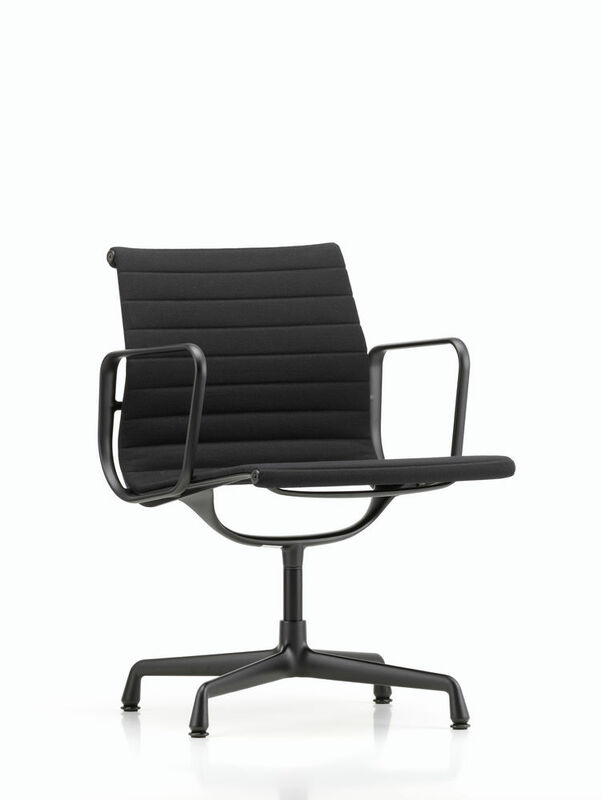 As black versions, these classic chairs have acquired a fresh look and an emblematic, modern appearance – whether in black monochrome configurations or in contrasting combinations with colourful covers. 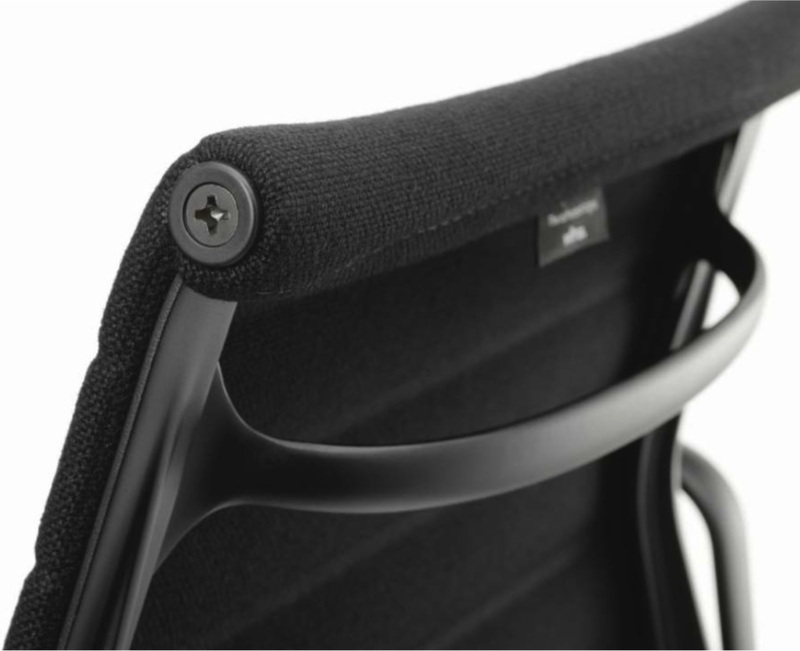 All of the models belonging to the Aluminium Group and Soft Pad Group are available in a black version – from dining chairs to reading chairs to task chairs. The black powder coating is extremely scratch-resistant; all chair details are in black. 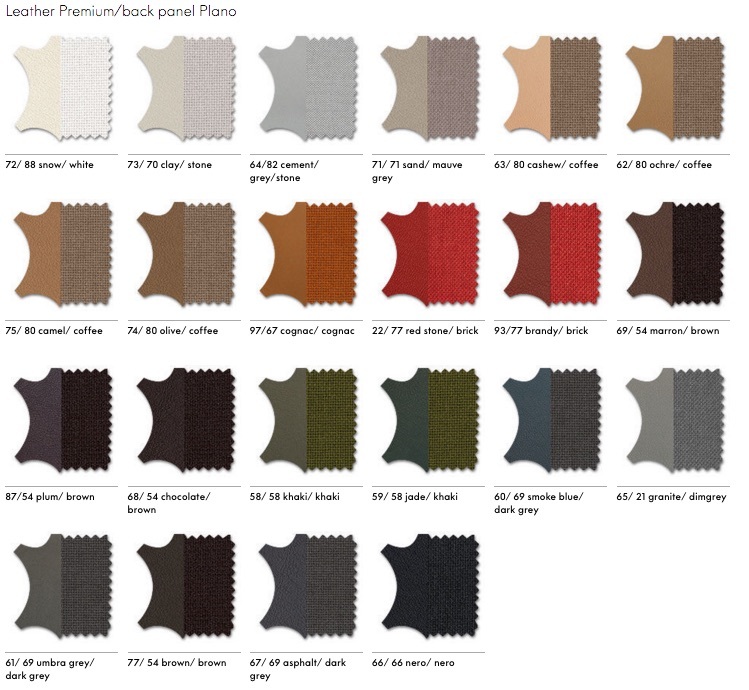 The same wide colour palette of upholstery fabrics and leathers is available for all frame finishes: black powder-coated, chrome-plated or polished.